Up until the mid-1980s the New Bedford seafood auction took place in the Wharfinger Building on Pier 3. Several individuals reminisce about what it was like in the old days. In the mid-twentieth century, after the textile industry decline, New Bedford turned once again to the sea, and its commercial fishing fleet expanded. Several changes helped this to happen. Fishing boats switched from sails to motors. Improved diesel engines allowed for a safe journey to the abundant Georges Bank fishing grounds about 175 miles northeast of Cape Cod. 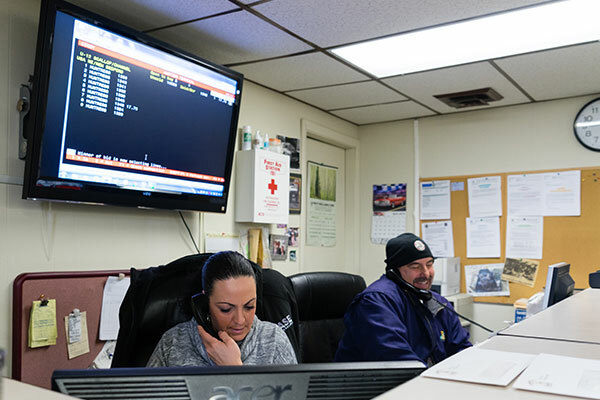 Another important change occurred around 1940, when New Bedford’s fishing vessels no longer had to go to New York to sell their catch, but could return to port to sell it, where trucks now transported the catch. Also at this time, refrigeration and the building of a freezer plant increased the ability to process fish at the port. Working Waterfront Exhibit, New Bedford Whaling National Historical Park, Courtesy Spinner Publications, Inc. These mid-twentieth century changes allowed a competitive local market to develop, and led to a development that would become a major part in the process of getting fish from the boat to the plate. At first, boat captains went to the different fish houses looking for the best price. 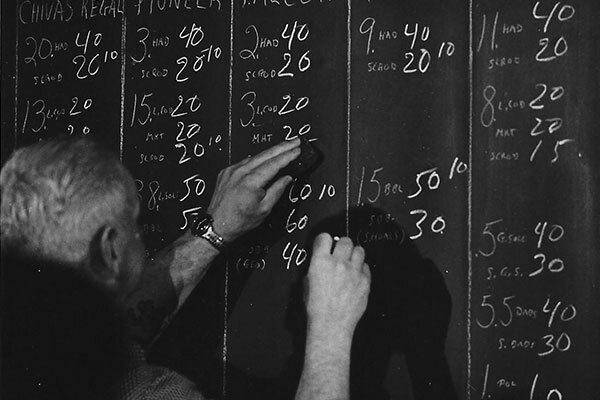 Then about 1941, the first fish auction was started. This centralized the process of selling the catch, using set rules and time limits. In September 1947, the city added on to the Wharfinger Building, to house the daily auction. On busy days, as many as three auctioneers stood at the auction’s chalkboard, marking the bidders’ prices and using special auction lingo (such as “YT” for yellowtail flounder and single initials for different bidders). The catch stayed on the boats until it was sold. Some boat captains, known as “highliners”, had a reputation for bringing back a quality catch, and so their loads would bring the highest bids. 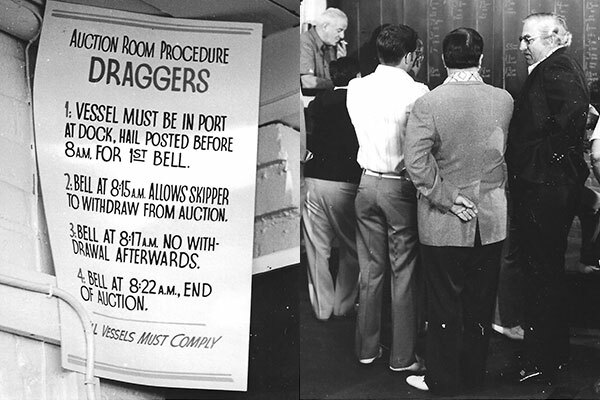 Before it closed, captains had a chance to refuse bids they felt were too low, holding on to their catch in the hopes of a better price the next day. The auction was fast-paced and packed with people (though only certain people were allowed in the hall during bidding), and at times there was a police officer on duty to keep everything under control. People who come in here from the outside think, “My God, this is chaos.” Well it wasn’t. It was organized chaos, but everyone knew what he was doing. 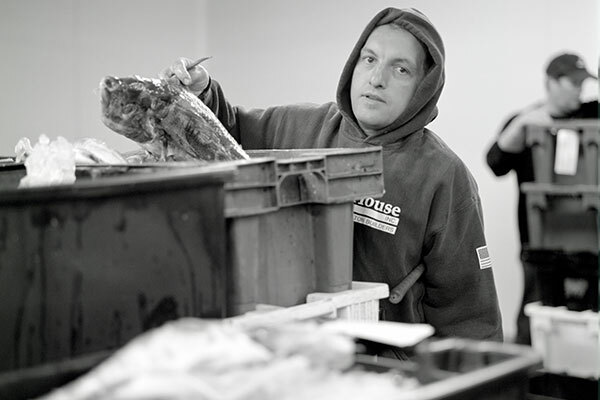 Once the auction closed, the catch that was sold was offloaded at the individual fish houses that bought it. 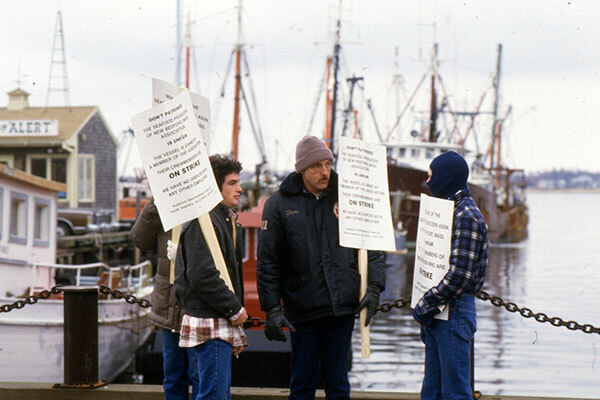 In 1985, the auction ended in the course of a bitter strike between fishermen and boat owners. Private sales took over, despite different efforts to revive the auction by the city, boat owners, and the lumpers who unload the boat’s catch. 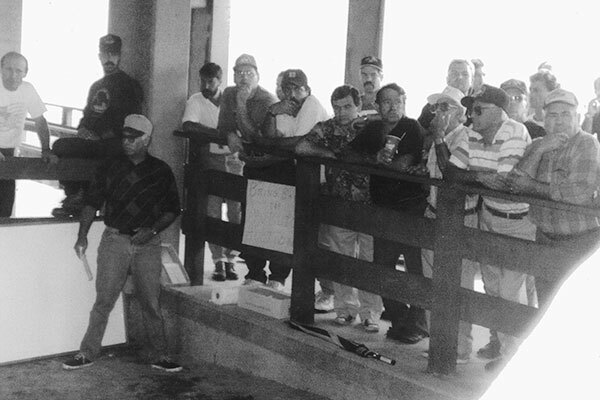 For period of time, the auction was held under the overpass. 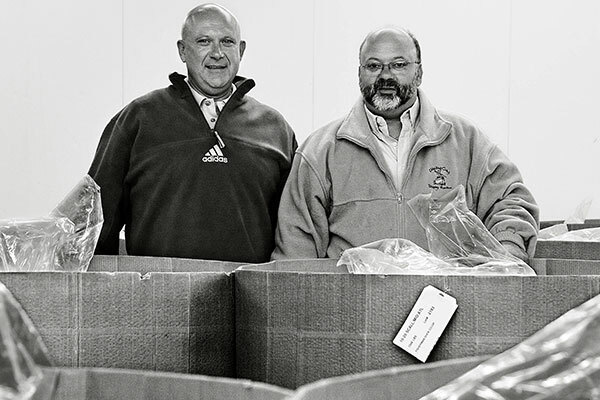 Then in 1994, brothers Raymond and Richard Canastra of Fairhaven established the Whaling City Seafood Display Auction (now called BASE or Buyers and Sellers Exchange. 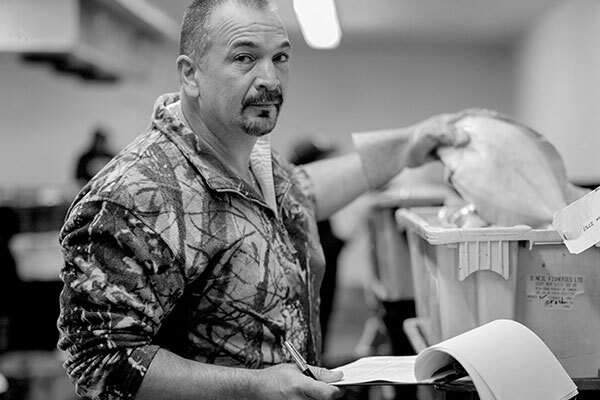 In a display auction, vessels offload the catch into coolers, allowing buyers to see the catch. The auction went electronic in 1997, replacing chalkboards with faxes and computer. Today BASE is the largest east coast seafood auction. Located in New Bedford, the nation’s most valuable fishing port, New Bedford Fishing Heritage Center is dedicated to preserving and presenting the story of the fishing industry past, present, and future through exhibits, programs, and archives.